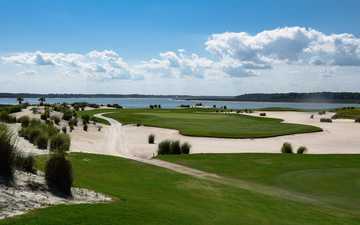 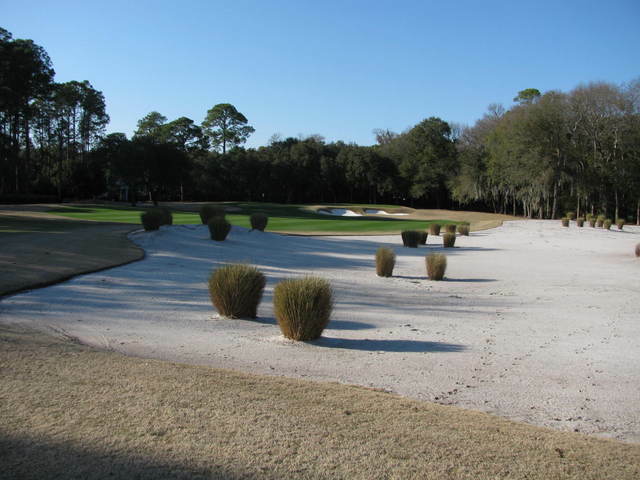 A view of the 16th hole surrounded by sand traps at Colleton River Club. 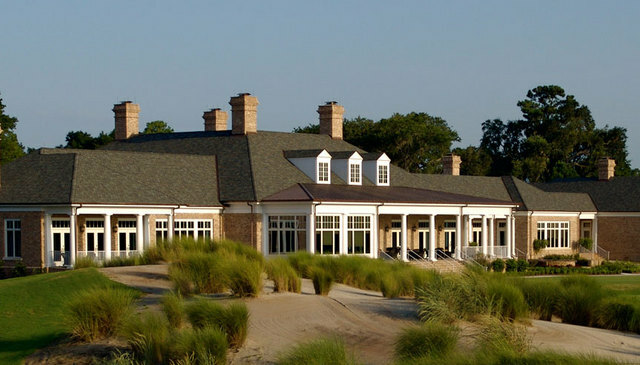 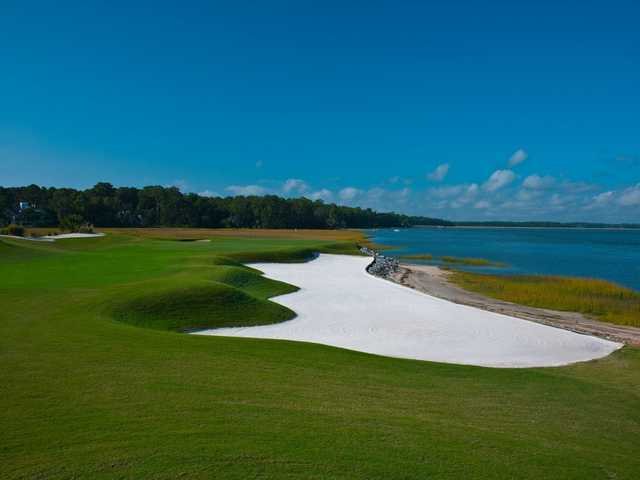 Colleton River Club's Nicklaus Course is steeped in Southern charm and beauty. 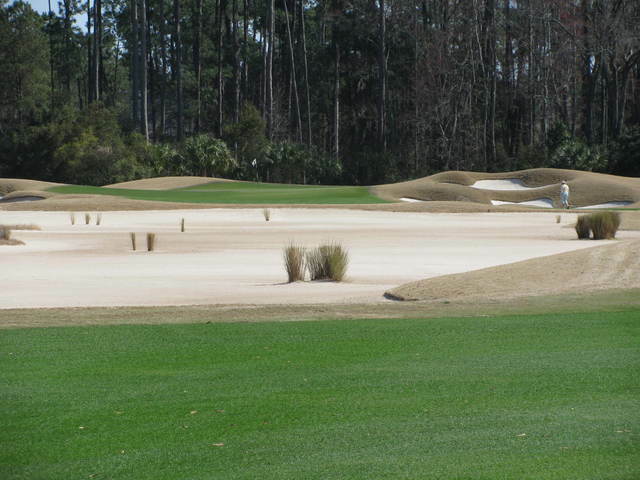 It is one of two 18-hole courses at the club. 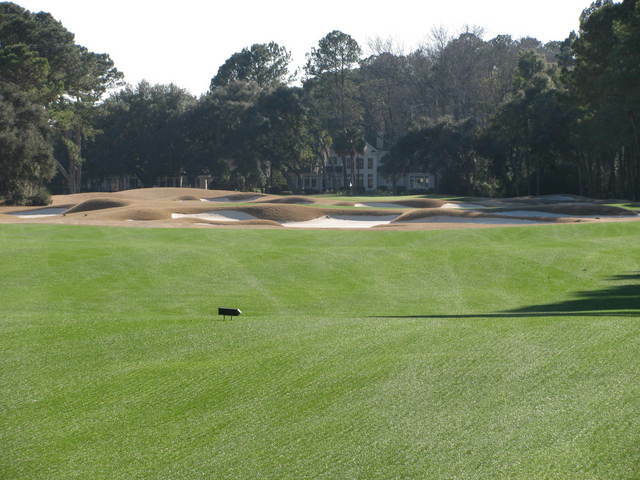 Pete Dye designed the second golf course. 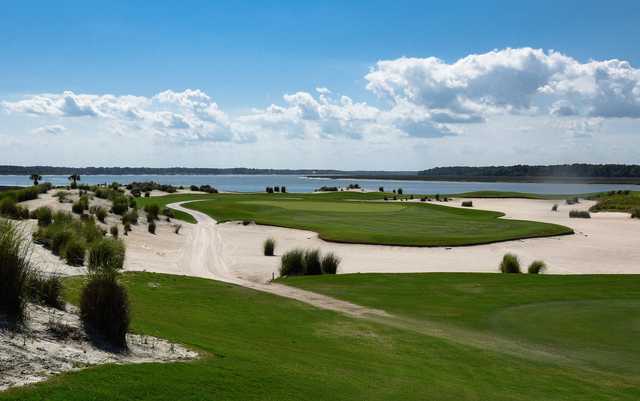 The traditional layout of the Nicklaus course takes advantage of the scenic South Carolina Lowcountry, incorporating the towering oak trees, marshes, and tidal creeks throughout the landscape. 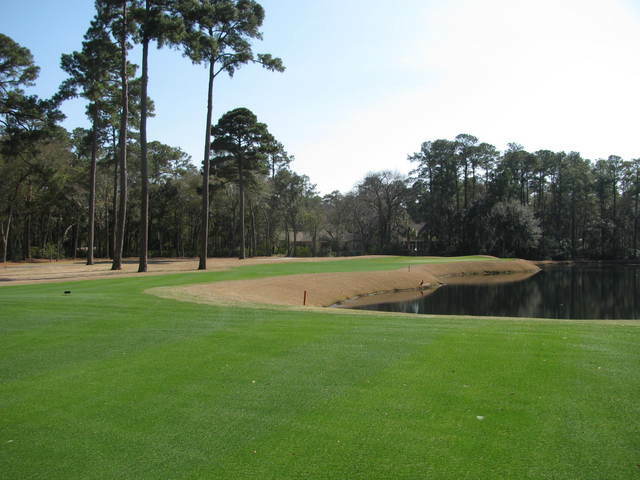 Although it has classic features, the layout is unmistakably challenging. 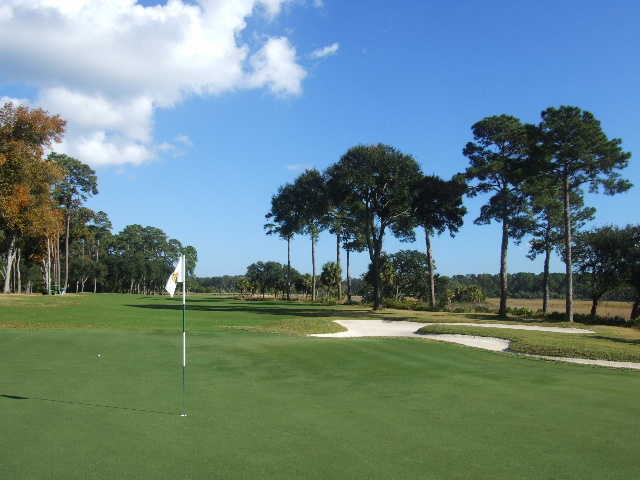 Doing well on this golf course requires careful strategy and skillful shot making. 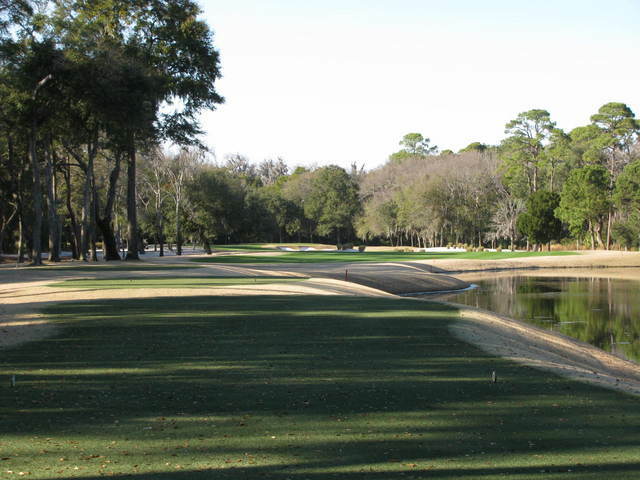 Trees line the fairways and water comes into play on 12 holes. 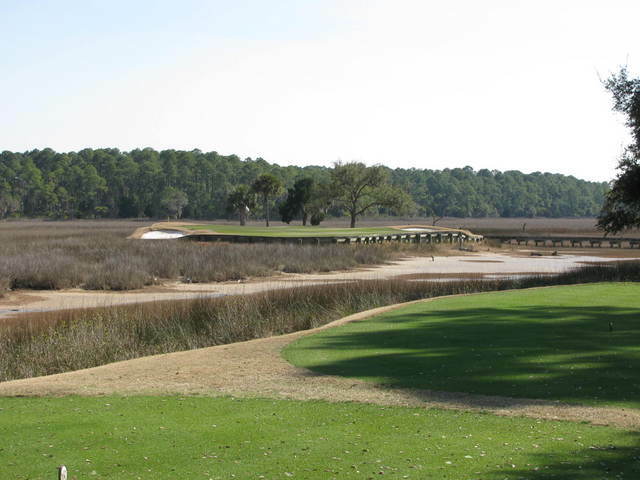 The signature hole is the par-4 16th, which plays toward the bordering Colleton River. 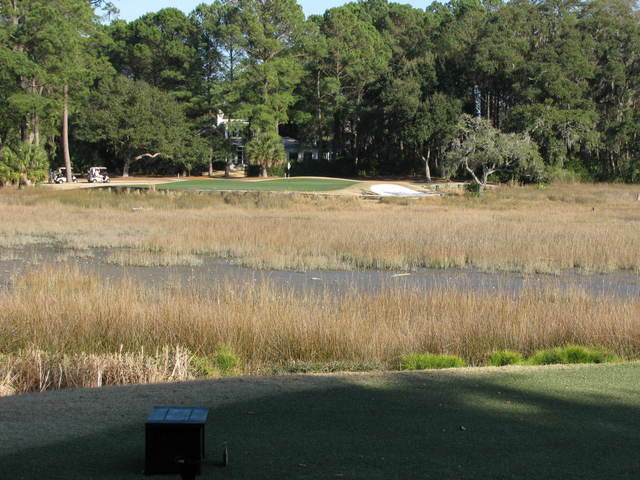 In addition to the two golf courses there is also a par-3 course.